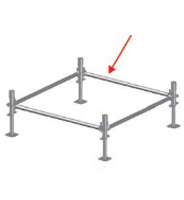 The Stage Scaffolding is for Music Concert, Sports Meet, Election Campaign and various configurations. According to the test result, the loading can reach at least 94% when the maximum allowance is 1.8m; whilst, if the other brand allowance is 3.0mm, the loading only can reach 50%. 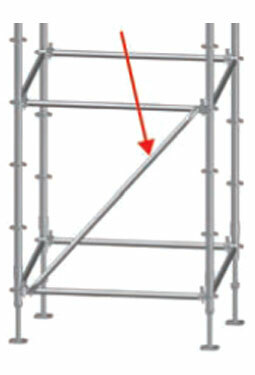 The higher the scaffold assembled, the less the loading can bear. Vertical Connection is Through” Cross Section”, rather than “Point”. We use high-precision circular sawing machines to ensure the tubes are cut precisely. 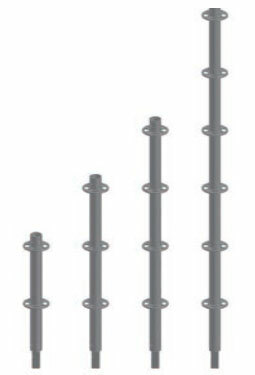 This allows for no visible gap between the tube connections, making the cross sections of our tubes are perfectly smooths. It is on par with ACI 117-06, the permanent concrete structure which below 25.4m height, the vertical deviation need to be controlled within 0.3%, the less vertical deviation, the less influence on eccentric bending moment. High Tensile Steel STK500 & Hot Dip Galv. 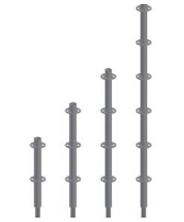 The tubes are made of high tensile steel “STK500”, precise specification. 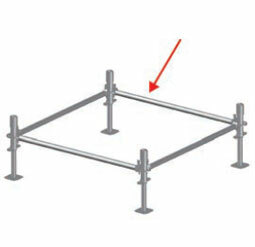 All the components are hot dip galvanized for longevity use. 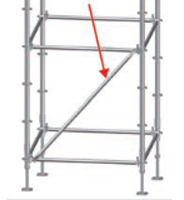 Ring System Scaffolding complies with EN 12810-1 certification which is your reassurance that it is the best of the quality. Main support of the entire system connected by Spigot. To distribute force evenly between Verticals. To enhance the load-carrying capacity and keep the entire system from deformation.